Looks delicious! Can’t wait to try to make them both! Hi myrakelly, these dips are amazing! I rarely make the same recipe twice, and I’ve made these at least 3 or 4 times now. They look so beautiful and taste clean and simple, as raw food should be. 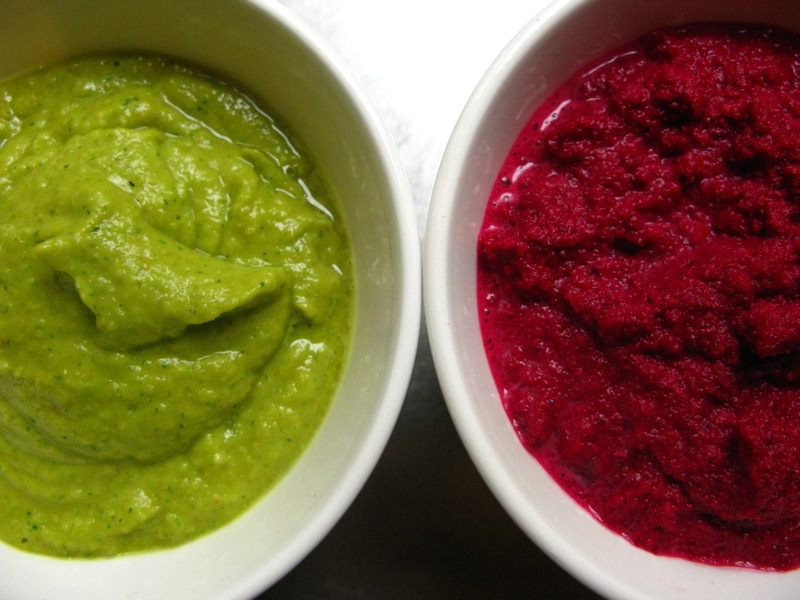 I was nibbling on these dips with crudites while sipping an organic chardonnay recently. I was wondering if it would be okay with you if I reprint these recipes (with your name and a link back to your site, of course) on my blog with the wine review?